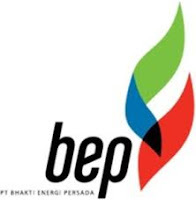 PT Bhakti Energi Persada is a coal mining enterprise that has concessions and extensive Coal Resources in East Kutai Regency of East Kalimantan, Indonesia. Our Vision is: “To be a World Class Coal Mining Enterprise that Extracts and Adds Value to the Coal for the Benefit of the Mankind” Our Mission is: To produce and supply world-class coal based products through the application of best practice in, operations, cost efficiency, safe and environmentally friendly process and best fit technology. To develop a corporate culture that promotes integrity, trust, enthusiasm, respect, innovative thinking and solid teamwork. To develop people to be the brightest in their field to return excellent performance. To enhance quality of life for the community that will provide sustainable prosperity and thereby earn the respect from all stakeholders. At least 1 year(s) of working experience in the related field is required for this position, Fresh Graduates are welcome to apply. The incumbent will be responsible to provide support in all legal aspects in site development and land acquisition process.